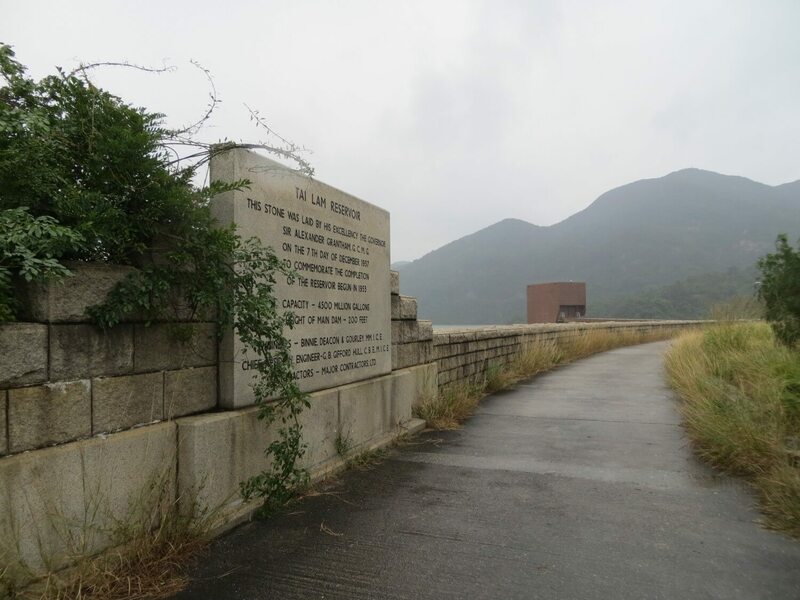 HF: The Tai Lam Chung Reservoir was the first reservoir built in Hong Kong after the Second World War. 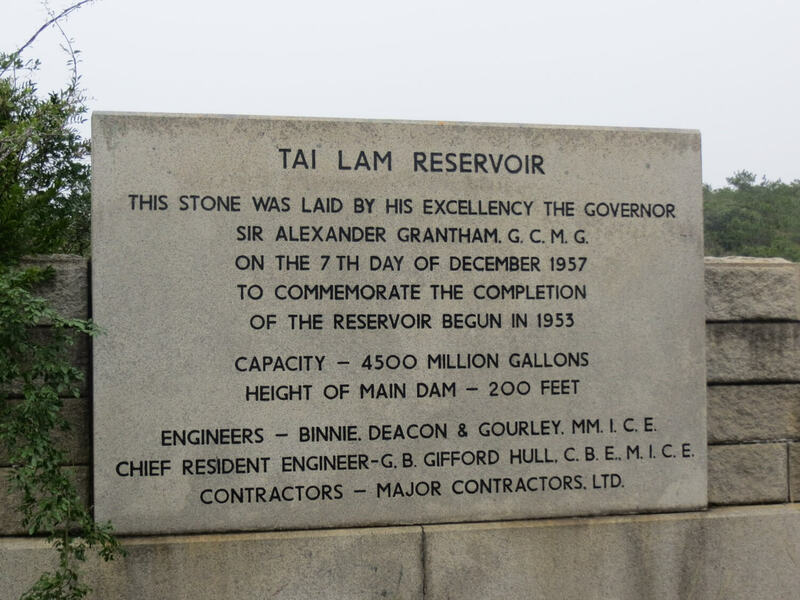 Construction work commenced in 1952, was completed in 1957 and officially opened by the Governor, Sir Alexander Grantham on 7th December of that year. 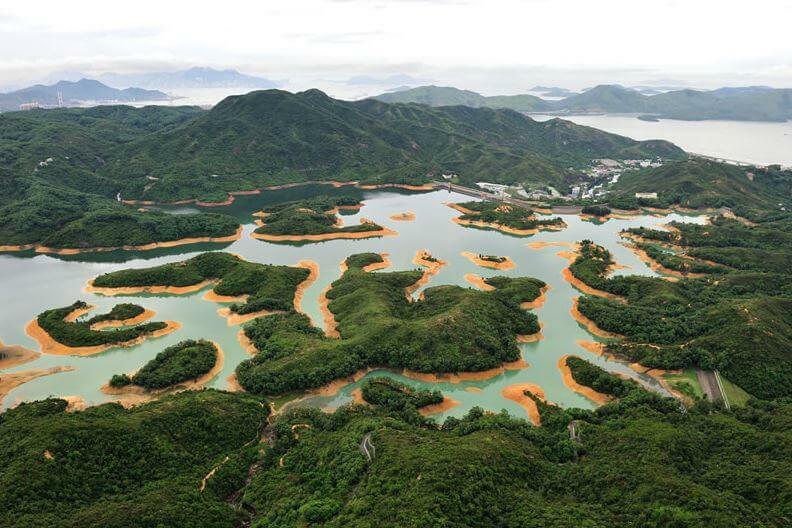 The reservoir, with a storage capacity of 20 million cubic metres, was formed by a main dam across the Tai Lam Chung Valley, with three subsidiary dams across an adjacent small valley. 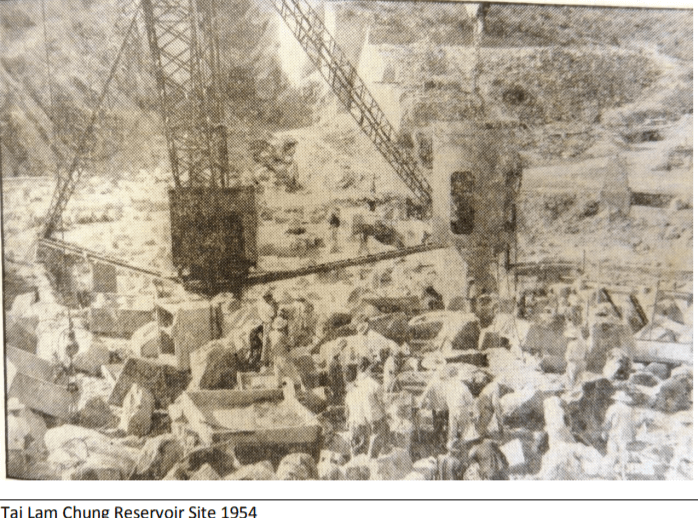 As the soil near the reservoir was poor and frequently affected by hill fires, afforestation work began in 1952 with many different species of plants cultivated around the reservoir to strengthen the structure of its catchment area. HF: I took these photos on 4th December 2014. This article was first posted on 22nd March 2016. 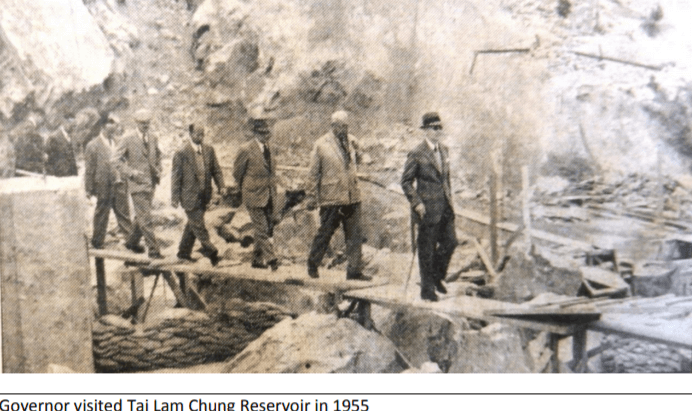 The contractor of the Reservoir – Major Contractors, Ltd, is a joint venture formed by Lam Woo & Co with Kadoorie-controlled Hongkong Engineering and Construction Co and Cheong Hing Co. I believe the third from the left in the last picture is Lam Chik-ho of Lam Woo & Co.